on the Cosmic Boy Mill Recovery Enhancement Project for GRE Engineering. 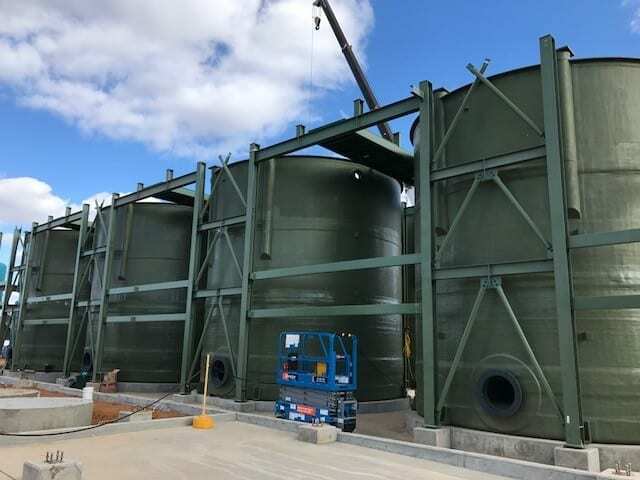 The Contract was for eight (8) off 230,000 litres Leach Tanks and seven (7) off Chemical Tanks. and final assembly was completed on site at Forrestania WA.